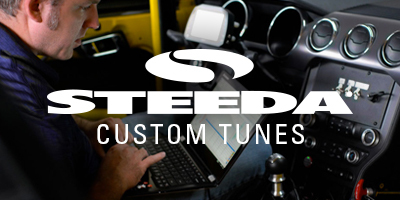 Steeda's GT500 Power Pack includes our Industry Leading 114mm Cold Air Kit and an SCT X4 programmer to tie it all together in one convenient package. Steeda's Cold Air Kit for the new Shelby GT500 produces the greatest power gains of any Cold Air Kit on the market. In house testing has shown increases of up to 55 HP to the rear wheels when using the components in this kit.